Many product owners attach brand experience goal to package design, but only few understand that there’s more to packaging than just graphic design. Visual design defines brand essence. But let’s face it: Stunning graphic design alone cannot communicate the desired brand value. There are other elements of packaging which create a delicate balance with design to deliver brand experience seamlessly. A product buyer’s interaction with your brand is 100% through product packaging. Purchase Phase: When on retail shelf, it’s your packaging design which communicates with your prospective customer. Post Purchase Phase: When that product reaches home, the buyer continues their interaction with packaging – be it for storing, opening, holding, closing– creating a brand impression through multi-sensory cues. This interaction with the product through its packaging has the power to deliver experiences. Good experience can facilitate an emotional connect with the brand. Retail pricing, transportation requirements and packaged contents of the product helps select or eliminate certain packaging materials. Introducing brand experience goals to packaging design adds another filter to it. Same design with different packaging materials can result in different look and feel. Some materials can enhance the design and some can simply steal the visual appeal. Similarly, touch has the power of influencing the judgement of the perceived quality of the product. For example, a consumer may not be able to justify the premium pricing of an expensive savory snack packed in thin unimpressive plastic bags. This brand of clear aligners got their patient starter kit designed with clear brand experience goals. 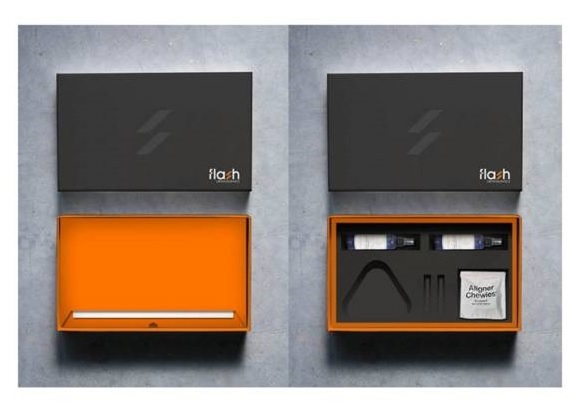 From outer box to inner layering, quality of all packaging materials used in this premium kit was selected keeping in mind the touch and feel sensory experience of the end user. Tying touch with visual aspect and placing these components as a dominant component in brand experience can get consumer’s attention through product packaging. That brings us to the next point. Packaging designers have an understanding of creative and visual challenges, but they need strategic inputs from product owners to be able to create a design that delivers the experience. While packaging has to be visually appealing to the product buyer, choice of graphic elements depends on target audience as well.What graphic art attracts a sophisticated luxury product buyer could look too drab and dull to a flashy teenager. And what instantly catches eyeballs from rural buyer would in all probability be an instant-miss by this chic urban customer. The point is, design keeping in mind the target audience. Brand Positioning gives a compelling picture of how the marketer wants the target market to view the brand. Since packaging design has a huge impact on the brand image, hence positioning statement must be provided to the packaging design team as a reference. Like material and graphic elements, packaging shape is a tactile quality and impacts the product’s desirability on the shelf. Within the packaging design process, designers can convey various feelings according to the shapes of different objects. Shapes and symbols can also be used to effectively capture attention and boost recall and recognition. Take wine labels for example. Label design communicates a lot about the taste of wine and pricing. Wine bottle and label design even sets an expectation regarding the quality of wine. 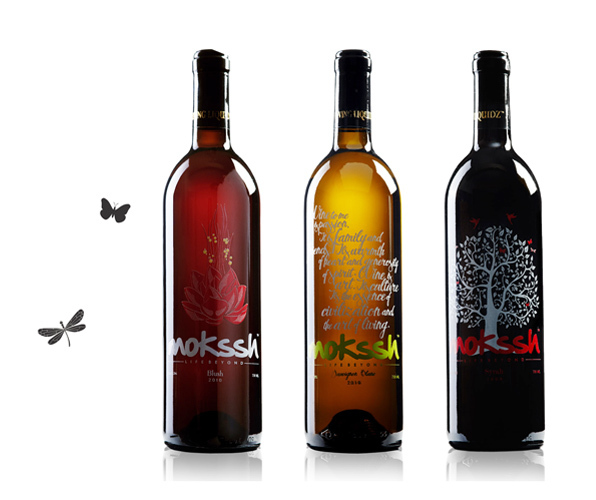 For the launch of Mokshh Wines in India, the design team chose sublimation printing technique instead of taking transparent sticker or original wine paper. Wine brand identity appeared to be a part of the bottle, giving it a different look from other wine brands in its category. To conclude, product packaging is an important touch point for your brand and an important element of branding mix. God is in the details. Quality of material, packaging shape and printing techniques are as important as the graphic design elements of your packaging.